M.M. Lombardo and R.W. Eichinger introduced the concept of “learning agility” in organizations, and proposed its correlates to workplace performance. · Change agility – curious about ideas, willing to experiment and develop skills. Lombardo and Eichinger’s framework has been used by subsequent researchers to measure the impact of learning agility (“learning from experience”) on workplace performance. 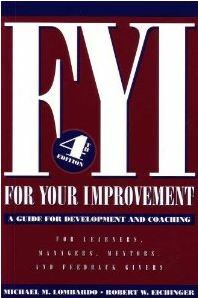 De Rue, Ashford, and Myers point out that this concept “lacks conceptual clarity” in their recent article in Industrial and Organizational Psychology, and they propose that learning agility is characterized by differences in speed of learning and flexibility in incorporating new information and skills. 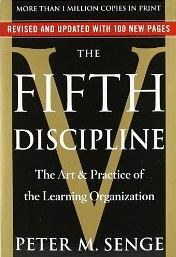 Much past research on learning agility has not fully considered the degree to which the organizational culture and climate provide a context of psychological safety and acceptance of risk-taking, but Peter Senge has called for this type of supportive context in his work on The Learning Organization. -*How do you differentiate “learning agility” from elements of “Emotional Intelligence”? This entry was posted in Behavior Change, Career Development, Change Management, Thinking and tagged Behavior Change, Career Development, learning agility, Lominger, M.M. Lombardo, Organizational Change, Peter Senge, R.W. Eichinger, Thinking on April 15, 2012 by kathrynwelds.